We will be offering a full-day "Crowley University" this year in southern California on Aug 23, which will be the most comprehensive and intensive course of its kind ever offered. Every thing that I've learned in my m ore than 2000 days fishing and guiding the lake plus some special discussions by members of the Trout Fly Stillwater Team on fishing the Stillwater Classic and the Double Haul in the Fall will be covered. They will also be available for questions during the Q&A portions of the presentation. 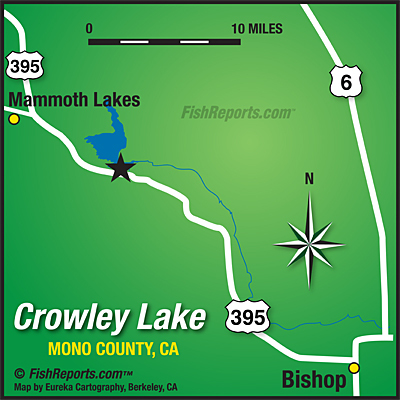 If there was a Ph.D on fishing Crowley Lake, this would be the Doctual Dissertation in a live, audio visual format. Click here for a list of seminar topics. Time: 8am to 4 pm with one hour lunch break. Call the shop for reservations, 800-637-6912.